Mr Jamil Zayed is one of the pioneers behind the establishment of the Jordanian Competition Directorate in the Ministry of Industry, Trade and Supply. He has worked at the Directorate since its inception in 2003. Mr Zayed was appointed as director of the Competition Directorate in 2016. He holds a Bachelor’s degree in industrial production engineering. 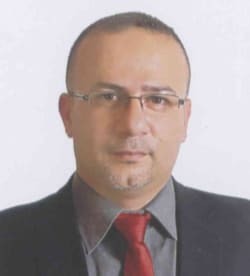 He has gained extensive experience in the field of competition law enforcement, actively participated in the training of cadres of the Directorate, and has provided training to other competition agencies in various Arab countries. He has been active in the preparation and implementation of awareness programmes on competition law and policy in Jordan.